According to geologists we are living in the Holocene epoch. But due to humanity's interaction with Earth's biophysical system there is the informal declaration that we are in the "Anthropocene" Era representing the latter half of the 18th Century to present day. Human activity is starting to be seen in the geologic record, from lead, methane and PLASTIC, yes plastic - deposits in the rock layers. Take a moment to read this enlightening article. You'll be glad you did. Prime Time For Star Parties!!! 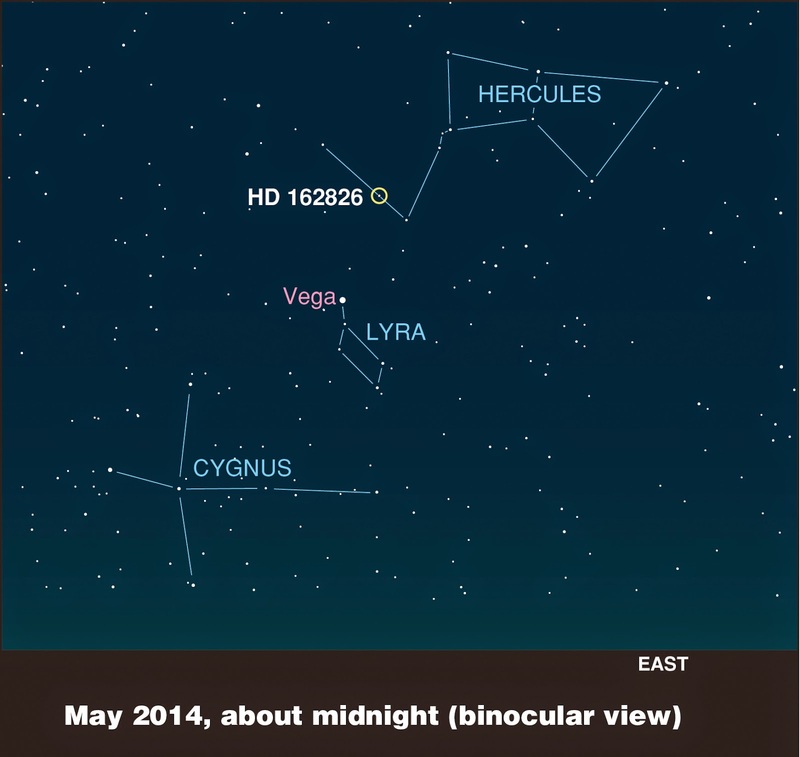 Get the scoop on one of my fave astro-activities - Star Parties here. For my international readers check with your local astronomy clubs, colleges and museums to see if any of them host star party events. Labels: Prime Time For Star Parties!!! Turning the Corner on U.S. Manned Spaceflight? We in the U.S. might finally be seeing the light at the end of the tunnel regarding home grown U.S. manned spaceflight capability. The U.S. lost its inherent ability to launch astronauts into space when the space shuttle program was retired in 2011. Ever since that moment when Atlantis landed the U.S. has had to rely on Russia to get to space at $70+ million a seat. Current Russian events show how tenuous that reliance is. Yesterday, May 29th, saw the unveiling of SpaceX's Dragon V2 MANNED spacecraft. Capable of carrying up to 7 astronauts, the spacecraft is a manned rated version of SpaceX's very successful Dragon spacecraft that has ferried cargo to the International Space Station. SpaceX hopes to have its first manned launch in 2-3 years which would be years before NASA's Orion/SLS has its first manned launch slated for 2021 - see my blog from yesterday. Boeing's CST-100 spacecraft and Sierra Nevada Corporation's Dream Chaser spaceplane are also being developed for U.S. manned spaceflight capability. All 3 designs are part of NASA's Commercial Crew Program. Another NASA program that I hope you will follow is Project Morpheus. A manned spacecraft is all well and good to GO somewhere in space BUT you need to be able to LAND on other celestial bodies! That is what Morpheus is all about - developing technologies that will allow NASA to land robotically or with astronauts - on other worlds. I have been following Project Morpheus and have watched live on the 'Net some of the test flights. The latest flight was on May 28th and was at night - WAY COOL! Keep turning and burning NASA and you space entrepreneurs! Let's get America back in the manned spaceflight business! Labels: Turning the Corner on U.S. Manned Spaceflight? We are 7 months out from the launch of the 1st Orion, NASA's new manned spacecraft. Here is a good background article on Orion, EFT-1 and SLS. I will be visiting NASA in New Orleans in July to see SLS and am looking forward to it. You will be there with me to see and learn the latest. I'll be giving a presentation on "The Future of U.S. Manned Spaceflight" at the Almost Heaven Star Party - hope to see you there. An interesting occurrence in the world of worldwide astronomy and the Twitter-'Net age took place last night and it has been fascinating to follow. Before you read on I hope you will take a minute to read my blog from yesterday - Vet the Net - for some related background. 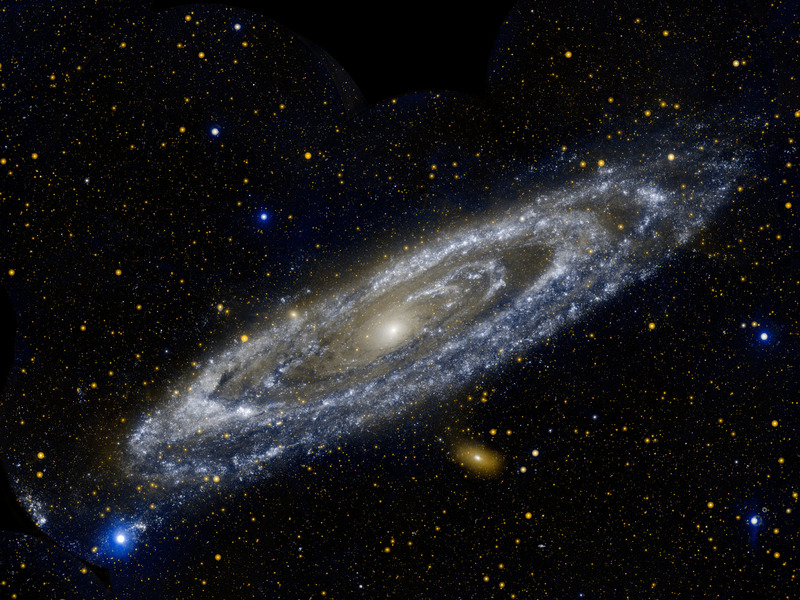 Last night the Twitterverse lit up over the announcement that there had been a high energy outburst within neighboring galaxy M-31 - see my recent blog on M-31 for background. Tweets abounded and there was great excitement that a high energy, possibly an X-ray Transient Event or Gamma Ray Burst event had been observed by NASA's SWIFT orbital telescope. For this to happen in M-31 is BIG as it would be the closest event of this type to be observed - only 2.5 million light years away - practically in our backyard. Astronomers started Tweeting and using the 'Net to communicate based on the preliminary announcement. Astronomers were getting ready to observe with optical and radio telescopes and posting their progress. This went on for awhile and was truly fascinating to watch. Then it was announced that there was no event but rather an observation of a previously known and catalogued source in M-31. With these announcements the Twitterverse wound down and astronomers began to access what had transpired. A nice write up the events was posted and explains what happened. Once again to me this shows what happens in our instant communication age - word spreads on the 'Net and people react. You have to remember that astronomical events like this are transient in nature and demand a quick response to gather data through observations. The bottom line though is that unlike yesterday's blog which was a downright fraudulent story/hoax, this one involved real science and how it works in the Internet age. The bummer is that EVEYONE wishes that it had been a true GRB event - that would have been something! You are reading my blog on the Internet. You probably Tweet, FB and have other Social Media outlets. My guess is that you, as do I, get a lot of your news via the Internet. I encourage you to read the story in the link as it shows someone who is familiar enough with the subject to spin a good (and false) yarn. In other words check the veracity of a story that is putting forth extraordinary claims, prophesies or news. I include my own Blog. I try hard to verify what I pass on to you either from my own personal experiences, knowledge or vetted/credible sources. But if something I or others post doesn't sound right OR is extraordinary in nature as this story accredited to NASA was, check it out. Wish I had a bigger screen to see this…. My favorite spacecraft, Lunar Reconnaissance Orbiter (LRO) is coming up on its fifth anniversary in lunar orbit on June 18th. I watched (and photographed) LRO being built at Goddard Space Flight Center and wrote a feature article on LRO for Sky & Telescope Magazine. I have followed LRO through all of these years and think often of the spacecraft when I see the Moon and look at the latest images. You can vote like I did on your favorite LRO photo that NASA has put forth in its "Moon As Art" contest. I hope you will vote as well and learn more about the Moon and LRO in the process. Starting at 1:25 a.m. EDT until 4:00 a.m. EDT I and several friends watched for the Cams (as I call it) Meteor Shower under perfectly clear skies. And 6 potential Cams that could be traced back to the radiant within the constellation Camelopardalis. Once again comets have proven they are notoriously hard to predict regarding their level of activity. I can see the news stories now…….ouch. But this is science and these were predictions. No way to know how a brand new meteor shower will act. In reading the Internet traffic this morning our observations seem quite in line with those of other observers across North America - onesies and twosies. I have seen NO report of a significant number of Cams observed per hour including listening for them via radio. I am sure we will learn more about what the Cams mean for the original models for the shower. But I think one thing is clear - Comet 209P/LINEAR, a dim and small comet apparently did not shed any great amount of debris in the 1700 and 1800's. Due to the low activity I elected not to get my camera out. Besides, I truly enjoyed just watching the sky. It has been a long time since I have done that. All in all my skywatching friends and I had a grand time together under the stars regardless and we have the Cams to thank for that. I will be on Fox 5 and WTOP on Friday at 8:30 and 9:50 a.m. EDT and will post links when available. 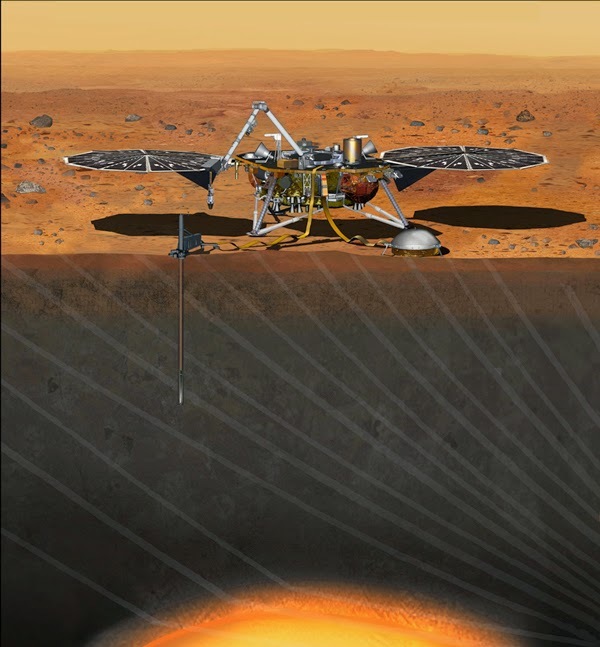 InSight uses design features from the successful 2008 Phoenix lander which discovered ice and water in the Martian soil. But InSight has a far longer mission length - an additional 630 days for a total of 720 days or almost two years. This will require additional design features for the lander to survive that long on Mars although it is scheduled to land near the equator versus a high northern latitude landing site as Phoenix had. You can read more about this exciting mission here. 2014 El Nino ala 1997? I know I have had a few climate stories lately but if you are living in an area like I am that is getting weird weather, these stories are a good read. Here is the latest from NASA about the weather phenomena called "El Nino" that impacts the Pacific Ocean which of course has global wide weather implications as a result. What I found to be interesting is that the pattern being monitored now is a very close match to that seen in 1997. Once again the power of space-based weather/ocean monitoring is proven. REMINDER: North America readers mark your calendars for the night of Fri-Sat 23-24May for the predicted NEW meteor shower…..more on that on Thursday. Labels: 2014 El Nino ala 1997? Maybe you have wondered what it takes to become a professional astronomer or know someone who wants to be one. I have had the privilege of meeting and knowing several professional astronomers and have had the occasion to discuss with them their profession. A great article was recently posted in the astronomical literature that lays out the academic and job hunting requirements that anyone interested in the profession should read. The article provides other links to resources and gives sound advice and some stats on jobs, academic papers published per year and how many astronomers there are world wide - about 10,000. The good news for the rest of us is that you do not have to be a professional astronomer to enjoy the Universe or make scientific contributions. Amateur astronomers and curious citizens do science by various means. Amateur astronomers are making a difference, to include collaboration with professional astronomers, in the study of comets, asteroids, the planets, variable stars and supernovae discoveries. Citizen scientists are engaged in a number of Internet-based projects collectively called the Zooinverse involving galaxies, the Moon, Sun and a host of other projects. These projects have been wildly successful and will continue. 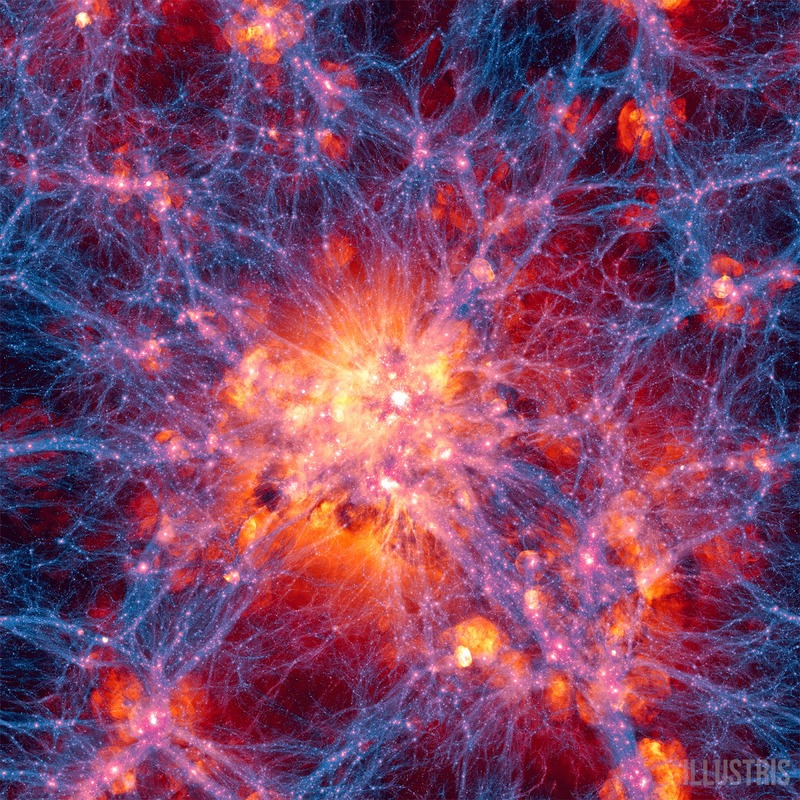 For you "arm chair" astronomers life has never been so good as the Internet has become a virtual Universe. Every NASA mission has dedicated social media resources - Twitter, Facebook, Instagram, Web Page - that you can almost literally tune in "live" as images, data and news are posted as they are received. Every college astronomy department and observatory that I know of has a webpage you can visit and obtain news, articles, images and information. Planetariums, museums and astronomy clubs are on the 'net as well so you can find out more about them. In to reading scientific papers like I am? You can browse this link and find posted papers galore in not only astronomy but other sciences and math as well. One final note. Regardless of your interests, try to spend some time under the night sky and tune in to the"real deal". There is ALWAYS something to see….. The exoplanet is the white dot and is Beta Pictoris b and is located 63 light years away. Pretty amazing pic and I suspect we'll see even better ones as technology improves and telescopes get bigger. Got over 4"'s of rain and HOWLING winds thru the night. 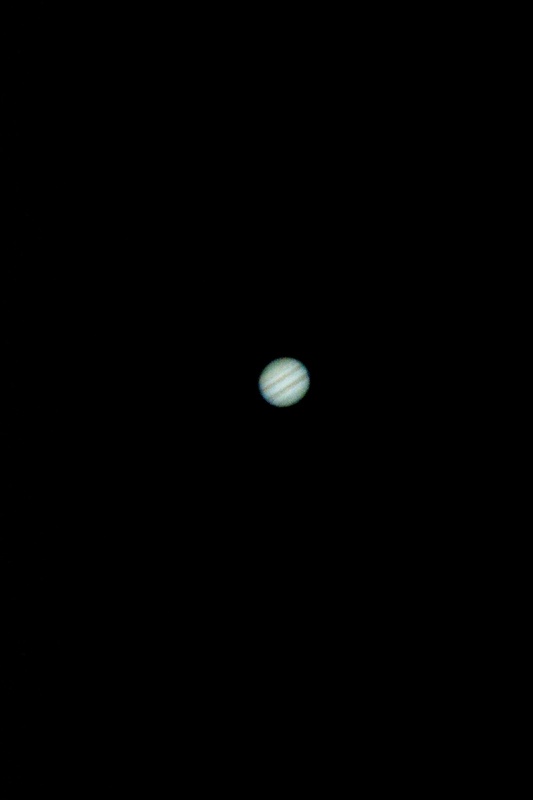 Hope the sky clears so I can get the 'scope out. 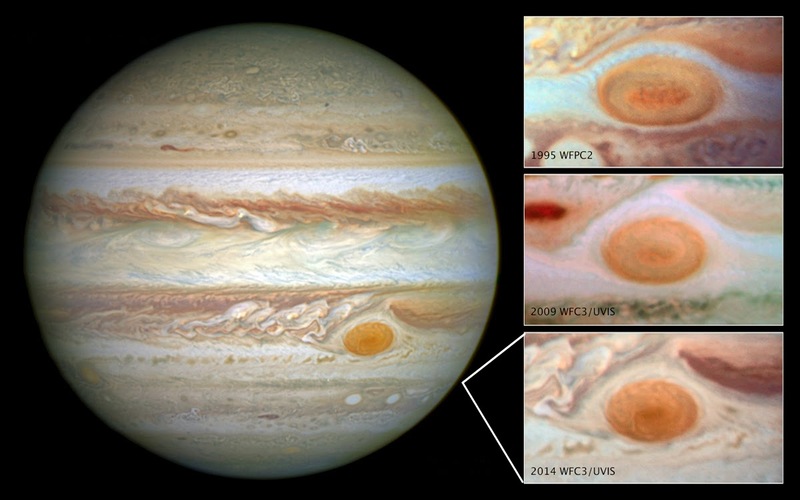 Hubble Space Telescope (HST) has been monitoring the planet Jupiter for years and the latest image confirms that the "Great Red Spot (GRS)" - a striking feature that has existed for centuries on Jupiter is shrinking. HST's latest observation of GRS confirms that it is now the smallest size ever recorded and is about half of the size measured in historical telescopic observations. In the late 1800's the GRS was about 3 times the diameter of our planet! With the arrival of NASA's Juno spacecraft at Jupiter in July 2016 we will be able to study the GRS up close and personal and maybe find out what is causing this historic shrinkage. As we prepare for another 2-4 inch soaking of rain in 24 hours, the rest of the world should be watching the sky tonight and the next day or so. The ecliptic, that imaginary line in the sky where during the day the Sun and at night the naked eye planets and the Moon can be seen, has a traffic jam. Starting right after it starts to get dark Mercury and Jupiter are in the west, Mars is in the south and Saturn is in the southeast. The Moon will be up shortly after dark to round out the ecliptic. Get more details on how to see the planets here. Only Venus is missing from the view. So get out and enjoy the sky sights. How would you like to fly through 1,774 exoplanets? Well, now you can courtesy of a new video. You have to watch it a couple of times as it is a bit dizzying in the dark and in full screen HD mode (recommended viewing settings) to see all of the planets beyond our solar system whirling around their parent star at different speeds. Multiple exoplanets WHIZ by their star while exoplanets far removed from their star move much more slowly. You can read details about the video and how it was made here. Truly amazing to see and contemplate all of those worlds and the TRILLIONS more that are out there. Remember, it is estimated that there are 10 planets for every star we see in the Milky Way Galaxy. Which really means this applied to all galaxies as we are not unique in any way. More climate news and it is not good from the bottom of the planet. 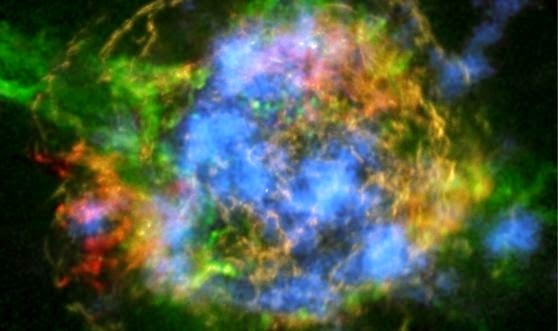 Check out this latest info from NASA on how supernovas - massive stars that die in huge explosions - might meet their demise by sloshing around in their interiors. Hey DMV - I hope to see you tonight at GMU Observatory . You have to see this "Virtual Universe" (You Tube version) or mp4 Version that is shorter and silent - that has been created by a team of astronomers over a period of 5 years. It is truly amazing to see as it has created familiar images that we have actually seen in the Universe. The You Tube version gives a more in depth look and does a better job of tracing 13+ billion years of Virtual Universe history. Today, May 10th, is Astronomy Day. Read all about Astronomy Day 2014. May you have clear skies tonight! My deepest appreciation to all of you who have visited my blog - you now number over 400,000 and average almost 5,000 views a day! I can't tell you how much it means to me personally to share the Universe and our space program with each you. Astronomers have announced that they have found a stellar sibling to our own star, the Sun. the star, HD 162826 is located close by at 110 light years in the constellation of Hercules. 15% more massive than our Sun, the star can be seen with binoculars and amateur telescopes. The "HD" stands for the Henry Draper Star Catalog which is a famous catalog of 225,300 stars that was first published from 1918-1924 and added to in later years. The star was identified as being related to our Sun based upon analysis of its chemical composition and orbital motion. There are more of the Sun's relatives to be found. I have added HD 162826 to my astrophoto list, especially since Hercules is now easily visible in the East. When I get a good pic I will share it with you. If you have binoculars be sure to try and see this solar sibling with your own eyes - its light would have left in 1904! Following yesterday's blog about our planet and climate change it is appropriate that Lunar Reconnaissance Orbiter (LRO) provided us with a view of the home world from lunar orbit. 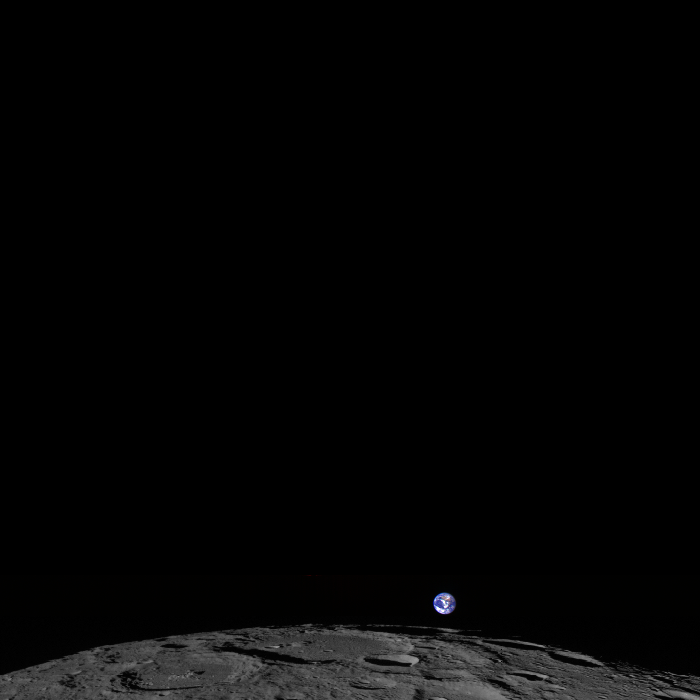 The pic was taken in February as LRO was approaching the Moon's North Pole and shows our planet's brightness and colors against the vast blackness of space. This was taken with the Wide Angle Camera and was purposely positioned to capture the view. LRO sees 12 Earthrises a day but is always focused on the Moon below. Quite a lovely and telling view….. If you care about the planet and our future you should read the latest climate change report that was just released. The details are sobering and backed by mounds of data and references. Here is an article that puts it in perspective visually. I can tell you from erosional experience that the weather is changing and the photographic evidence from space via NASA is overwhelming that the ice cover is shrinking and ocean levels are rising. Are you the parent of a child that has curiosity, likes to imagine, build things or dreams of being a scientist, engineer, inventor or astronaut? If so I just came across a WONDERFUL product that will provide entrainment and education to your child. littleBits is a new company that sells kits that incorporates electronic modules into models that your child builds, operates and performs experiments with. They can build a wide variety of stock items and also use the electronic modules to build items of their own creation. Of course I am partial to their Space Kit but it will integrate with their other kits as well. Kids today use high technology in school and in their spare time. littleBits incorporates novel technology into their kits to give kids a chance to see how things work and build actual models with working instruments to conduct experiments. I have not bought a kit myself but have looked through their online material. Plus, and this is a very BOG plus, NASA has officially partnered with littleBits which should give you peace of mind when buying these kits. I hope you will give littleBits a try. The cost is very reasonable and the results may be life long in your child. UPDATED: Here's to Clear Skies for the Eta Aquariids! Hope your skies are clear - ours in VA will not be - for the Eta Aquariid Meteor Shower. See my blog from 5-4-14 for details. 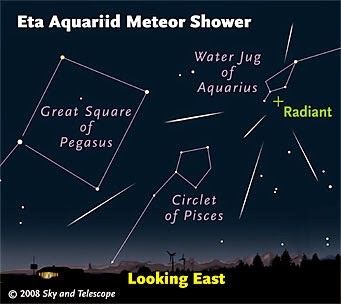 For my world wide followers here's a heads up for the Eta Aquariid Meteor Shower which takes place the night of May 5-6. The best viewing will be in the early morning hours before dawn and this shower favors Southern Hemisphere observers as the host constellation, Aquarius, is low in the Northern Hemisphere. This meteor shower is due to Earth intersecting the cometary debris of famous Halley's Comet and can produce 60 meteors an hour in the Southern Hemisphere and about half that number for those of us in northern latitudes. Check here to get an idea of what time to look based on your latitude. For those of us in the DMV we should be outside looking to the East at about 3 a.m as the radiant will be about 2 fist widths above the horizon. The key to seeing the shower is having a clear horizon and dark skies. City dwellers MAY see some bright meteors but it is best seen out in the 'burbs or countryside away from bright city lights. Dress warmly and be comfortable. Lay back in your favorite lawn chair or hammock facing the east and look towards the horizon and halfway up. With your favorite beverage and significant other this is not a bad way to start the day! This has to be one of the COOLEST things I have ever seen…..a LIVE 24/7 HD view of EARTH from the International Space Station (ISS). 4 cameras are mounted on the outside of ISS and were brought up on the last SpaceX mission. Astronomers are getting better and better at determining the characteristics of exoplanets - planets that exist outside our solar system. For the first time in history the daily spin of an exoplanet has been determined and it is a doozy - 100,000 km/hr at the equator compared to Earth's rotation rate of 1,700 km/hr. That makes the length of day for Beta Pictoris-b 8 hours compared to our 24. Beta Pictoris-b is 16 times larger and 3,000 times more massive than Earth and is located 63 light years away. 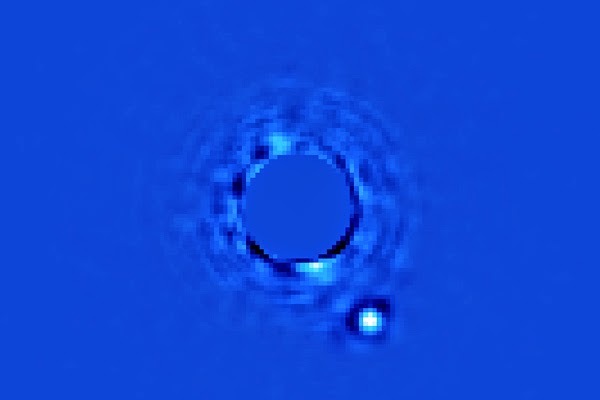 It was one of the first exoplanets directly imaged and was discovered about 6 years ago. 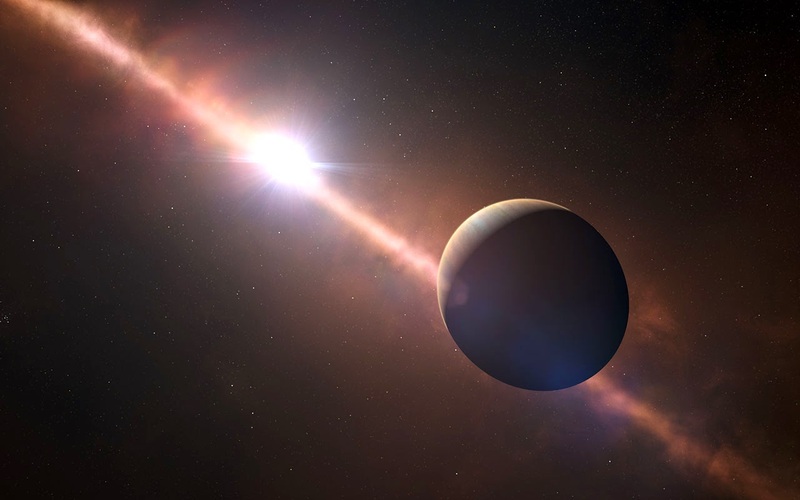 It is quite likely that more exoplanet spin rates will be determined as time goes on. Pretty amazing…..